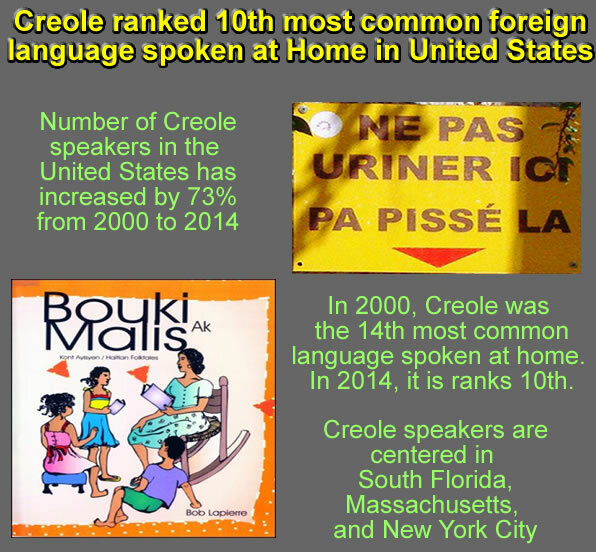 The word "Creole" simply means a mixture of different languages--it could be French based Creole or English-based, or Portuguese or Arabic based, etc. Haitian Creole emerged from contact between French settlers and African slaves during the Atlantic slave trade in the French colony of Saint-Domingue (now Haiti). It originated in the 18th century mostly with influence from Portuguese, Spanish, English, Taíno, and West African languages. In the present day, it is the main spoken language for 9 million people living in Haiti and further 400,000 emigrated Haitians living in the Bahamas, Canada, Cayman Islands, Cuba, French Guiana, Dominican Republic, Puerto Rico, Guadeloupe, and United States. Many different agencies provide a range of translation services for business customers and individual clients. They translate documents for the web, for print and for use within companies. Some of them provide top notch customer service with 24X7 support at the most affordable rate. They are translating all manner of documents. Language is an important aspect in any nation. It is what unites a country and bridges it with the international community. More importantly, language is what makes every citizen understand each other. That seems not to be the case in Haiti. Having a language barrier can be a challenge to any country. 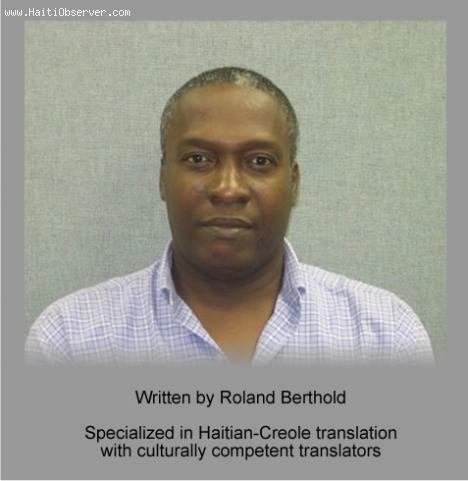 Haiti faces language difficulties as there are two main languages that are widely used: the Creole and the French. People and linguists have different opinions on both these languages and how they affect Haiti society. The majority of Haitians speak Creole. However, its value has been undermined because of the mandatory use of French in schools. There are schools that penalize students for speaking Creole despite the fact that the constitution recognizes both Creole and French as official languages. Like any other languages, Haitian Creole is not something that you can teach or translate easily. It would take a professional to translate such language efficiently. Just because it is derived from the French language does not necessarily mean that a French person can successfully translate it. Keep in mind that Haitian Creole and French have a lot of differences. Though Haitian Creole draws a huge influence from the French language, it also has touches of Native American, West African, Spanish, Portuguese and Arabic languages. With this, the only one who can accurately translate it is a professional Haitian Creole translator.